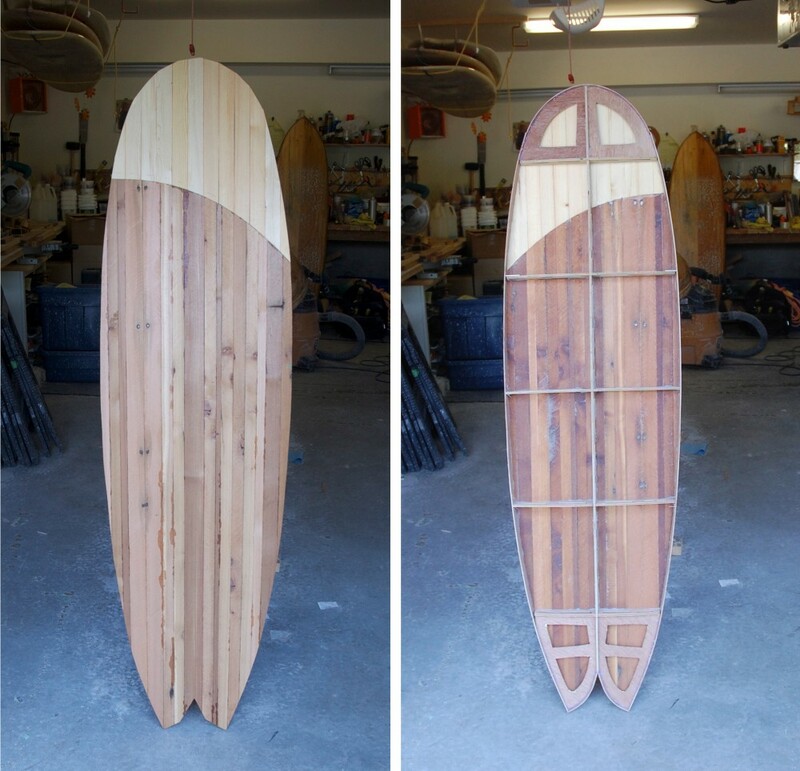 Andy Lambrecht creates locally made surf boards out of reclaimed wood and he approached me about making a custom surf board. We initially started with smaple wood to test out which pens or paint would work best, not bleed, on the wood after it was treated with fiber glass. The surf board was so beautifully created that it took me about 2 weeks to actually start on it. Andy gave me full artistic license to design it how ever I wanted. I decide to use white ink on the dark wood and then black on the lighter wood and created it with the ‘sea to sky’ in mind. He let me know where was best place to design in terms of the board being functional. The front of the board needed a design that stayed to the top because of the wax surfers put on their boards and the back need to stay above a certian point and to the middle at the bottom because of the fins. When I handed it back to Andy I didn’t see it again until we meet at Mount Currie Coffee Co in Whistler to put it up. I was absolutely blown away with how it looked fully finished. I couldn’t take my eyes off it. 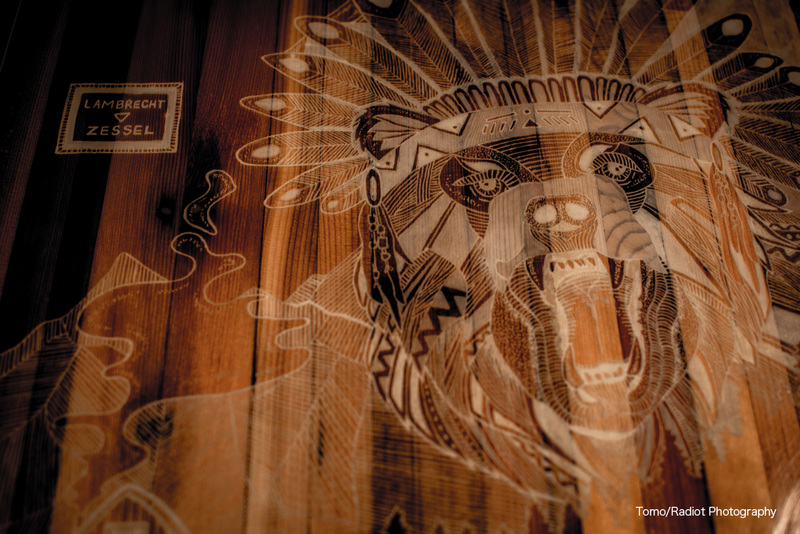 It was so special to create a piece that was created locally and it was truly a labour of love. 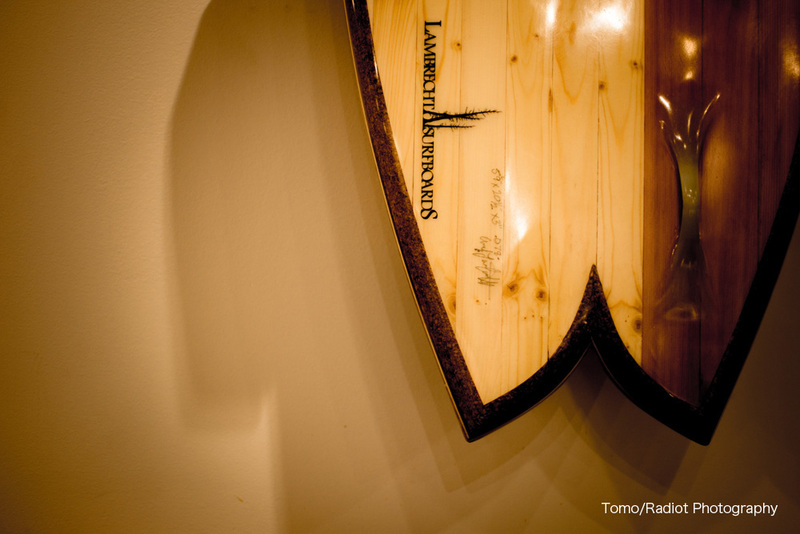 More information about Lambrecht Surfboards here: http://www.lambrechtsurfboards.com/. Thank you to Tomo at Radiot Photography for sharing these photos with me. Thanks so much for the interest. 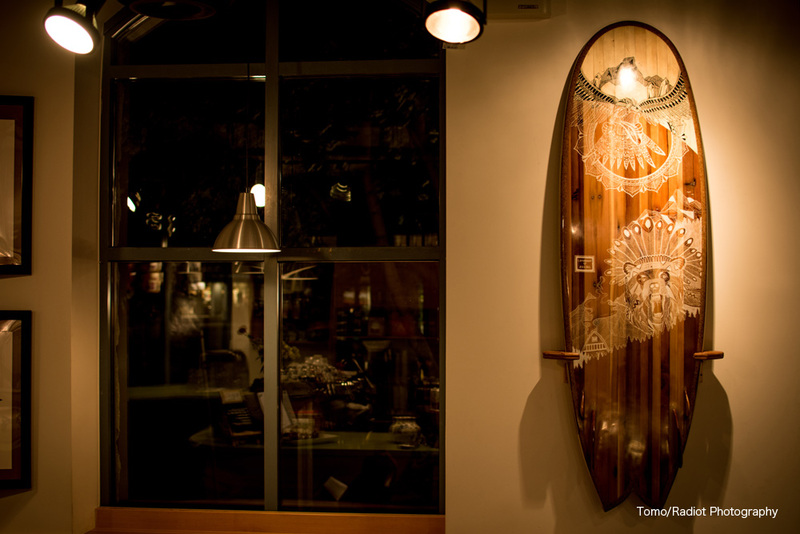 The board is hanging in Mount Currie Coffee Co in whistler and is for sale for $8,000 through Andy Lambrecht and myself. Feel free to shoot me an email at zesselkate@gmail.com and I can give you more details.